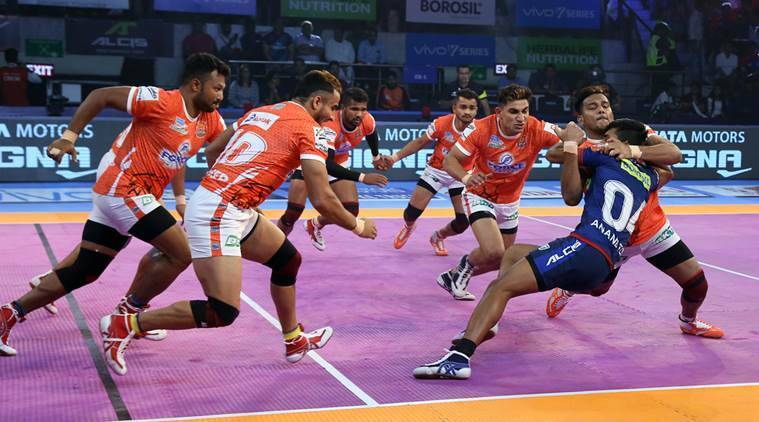 Pro Kabaddi 2018 highlights, Puneri Paltan vs U Mumba, Bengal Warriors vs UP Yoddha: While Bengal Warriors and UP Yoddha had to settle for a tie, Puneri Paltan pipped U Mumba by one point. Pro Kabaddi 2018 highlights, Puneri Paltan vs U Mumba, Bengal Warriors vs UP Yoddha: Two high octane matches, one ended in a tie and the other ended in a one-point victory. Puneri Paltan have got two wins in two days and they beat none less than the mighty U Mumba this time. Bengal Warriors could not complete a hat-trick of wins but they clinched a tie out of the jaws of defeat against UP Yoddha. UP will be dissapointed by that, they were leading for most of the match. And Pune have won it. Phew! Two high octane in Pune tonight. Puneri Paltan pick the winning point in the last second thanks to a Super Tackle and GB More being tackled was not enough for U Mumba get the points back. Astonishing match and U Mumba win by a whisker. U Mumba continue on the upward curve. The match is now on a knife's edge. Six minutes left and U Mumba inflict an all out on Pune. Nitin Tomar gets a succesfull raid to make it 29. He is now on 11 points. 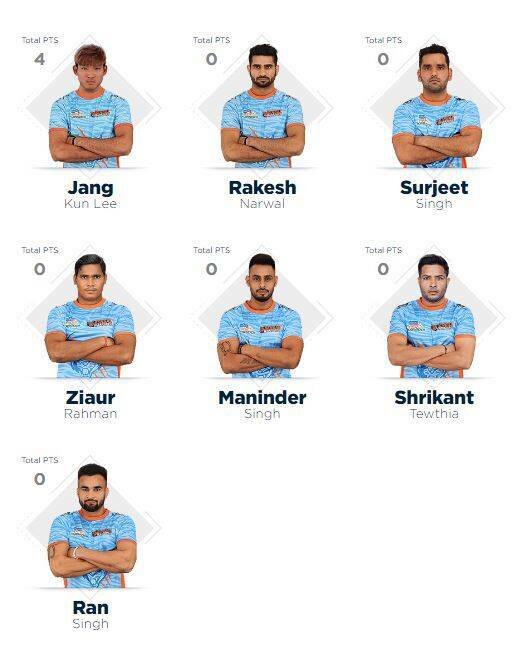 Puneri Paltan down to two men. Their two-point lead is on very shaky grounds now. 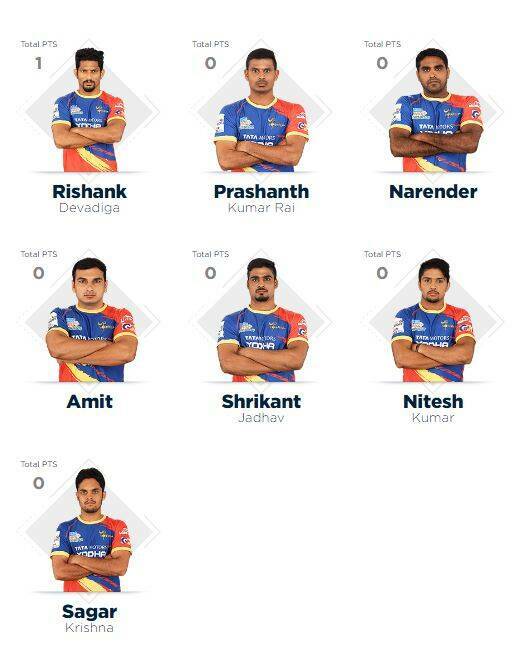 Puneri Paltan are on a role here. U Mumba have looked almost unbeatable in their matches thus far but their striong defence is being taken for a ride by Nitin Tomar. Mumba had taken a 2-point lead early on but Pune never let their sturdy defence off the hook. Nitin Tomar has got five points thus far. THE MAHA DERBY is what every single league in the country calls these matches. They are two cities that are over 400 km apart so calling it a derby would be like calling a match between Celtic and Arsenal the same word. Not quite. But this is quite interesting match. U Mumba have been incredible so far while Puneri Paltan recorded a convincing win in their last match. That ends a classic. A succesfull raid by Prashanth Kumar Rai in the last second gives UP Yoddha a tie but they would certainly be dissapointed to have not won this match. Well this is incredible stuff. Bengal inflict an all out and suddenly YP are three points behind. They keep their eyes on the prize though and now both teams are battling it out. The comeback is on! Four back to back points through tackles and raids and Bengal have closed the gap to two points. 7 minutes remaining in the match. Game on! Rishank on 9 points now. A couple of points reduces the gap for Bengal but they still have a long way to go. Well Up are just pulling away here. Prashant Rai's succesfull raid extends their lead to seven points. Devadiga has got 5 points and he has driven UP's performance thus far. Bengal looking a little lost at the moment. Bengal took an early lead but UP Yoddha have clawed their way back to get within one point of them. Rishank Devadiga then got a Super Raid and they are in front! 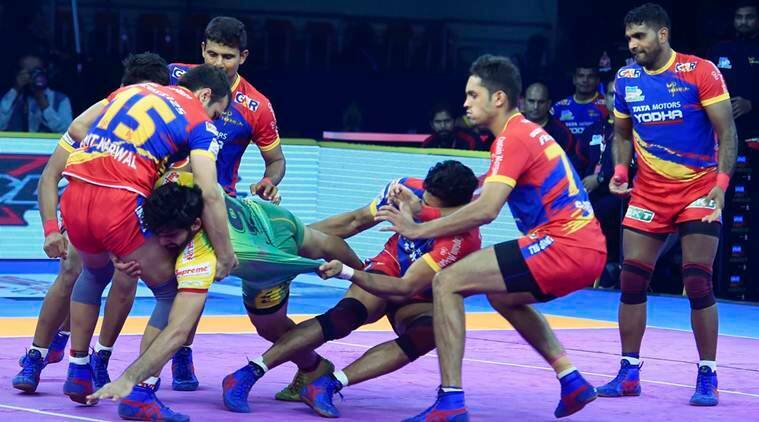 Pro Kabaddi 2018 Live Score, UP Yoddha vs Bengal Warriors Live Score Streaming Online: U.P. Yoddha captain Rishank Devadiga, who has managed 29 raid points in four matches, will have to put in a big performance against the water-tight Bengal Warriors defence. Scoring 76 tackle points in Season 5, Surjeet Singh finished second in the race for Best Defender in a stellar campaign for Bengal Warriors.